Cut the noise, listen smart. 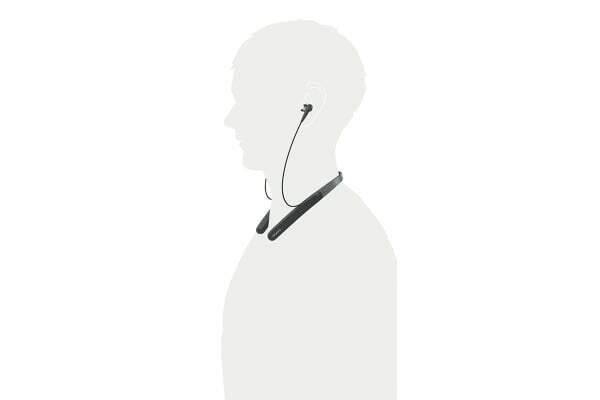 With industry-leading noise cancellation, effortlessly smart features and a neckband for comfortable all-day wearing, you can lose yourself in the music with the Sony Wireless Neckband Noise Cancelling Headphones. Get the most from the Sony Wireless Neckband Noise Cancelling Headphones everywhere with optimised noise cancellation and wireless freedom. Enjoy in-flight music in perfect clarity with noise-cancelling adapted to high altitude. Listen free from wires and unwanted background noise with Digital Noise Cancellation. Smart Listening by Adaptive Sound Control automatically detects your activities such as travelling, walking, and waiting then adjusts ambient sound settings to you. 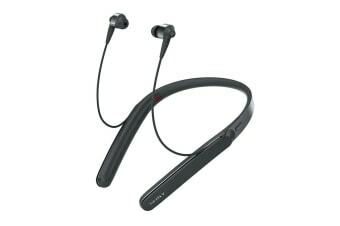 You can customise them to your preferences with the Sony I Headphones Connect APP. SENSE ENGINE gives you the power to tune in and out of your music at a touch. Hear music that stays true to the original recording with High-Resolution Audio. Optimised for High-Resolution Audio, S-Master HX reduces distortion and allows you to enjoy all the subtleties in your music. The 9mm dynamic driver maintains drive force for deep bass and clear mids without dropping off like other drivers, while the airtight Balanced Armature driver provides natural high frequency sound for longer. Both drivers work together to keep sound response steady across the frequencies. LDAC transmits approximately three times more data (at the maximum transfer rate of 990 kbps) than conventional Bluetooth wireless audio, which allows you to enjoy High-Resolution Audio content in exceptional sound quality close to High Resolution Audio. Keep your cable neatly out of the way in the slim, zip-style holder. Just plug the cable into the aeroplane adapter plug for in-flight listening. 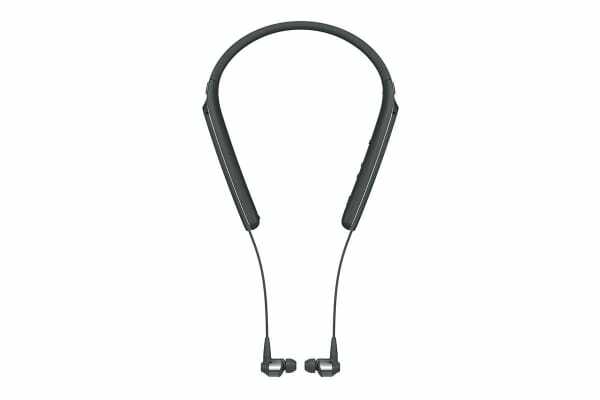 Use the supplied cable for uninterrupted truly High-Resolution Audio and noise cancelling for up to 14 hours.